But I don’t like it. Everything looks different, except two things: God’s love for me and Tom’s unfailing commitment to demonstrate that love to me in tangible and thoughtful ways. I love writing, and I love sharing with you what God has placed on my heart concerning marriage. But even this doesn’t feel the same to me. I spend more time staring at my computer screen then actually typing anything worth reading. Honestly, I erase more than I keep. It makes me sad. Simply because God has called all of us to live life right where we are. He wants us to reflect His glory to a world that doesn’t know Him nor care to. When we’re facing unpleasant seasons of life and/or marriage, this is when God shines the brightest, if we’ll let Him. A good friend recently encouraged me to remember one word through all I’m facing. That word was “constant”. 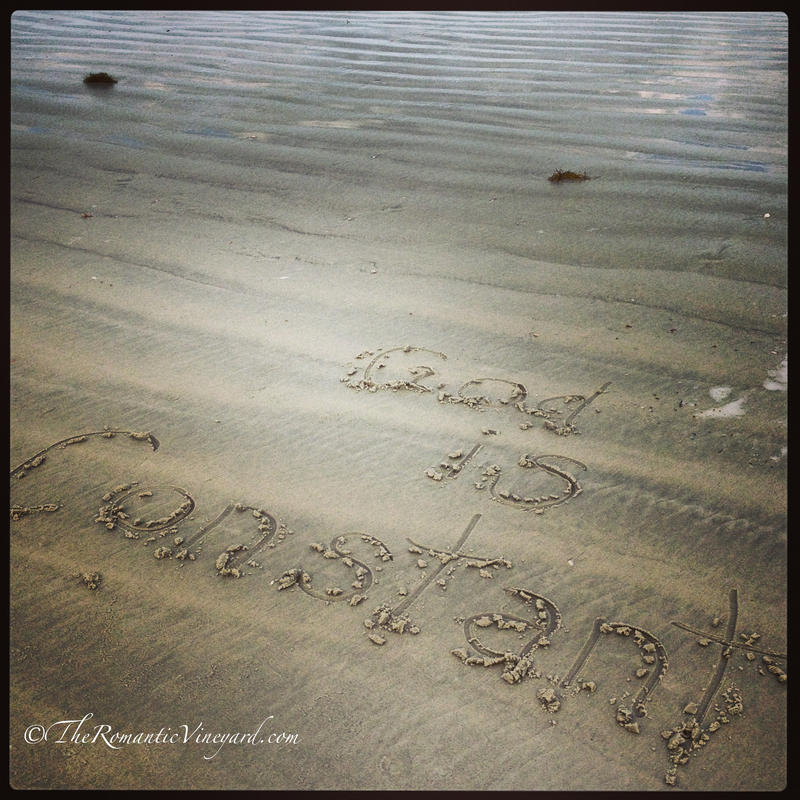 God is my only constant–the only One who will never leave me or forsake me. I may not like what He’s doing at times, but that doesn’t mean He can’t be trusted. Parents often have to do things their children don’t like for their own good or safety. We, in the same way, are called to trust such seasons to the only One who is unchanging. Difficulty reveals idols I may have been clinging to too tightly. I must let go of the old to embrace the new, and find the joy God has stored up for me in the new season. And God is a jealous God. He won’t let us cling to worthless things. He will faithfully reveal to us how futile it is to cling to sinking ships. The Bible provides great promises that are worth clinging to in uncertain times. Sometimes it takes our spouse reminding us of the Truth, and it’s the Truth that alone can set us free. What about you? Have you been clinging to sinking ships? What promises will help you remember the Truth? This entry was posted in Christian Marriage, Difficulty, Growing Strong Marriages, The Gospel & Marriage and tagged Bible, Christianity, Constant, God, Isaiah, Lord, Psalm, Tom, With Wings as Eagles. Bookmark the permalink. I am praying for you dear friend. There is so much happening in your heart and life right now; a time of the Lord planting many things in you. The harvest will be rich and beautiful — and will result in words flowing out to others that will encourage, strengthen, empathize and help. I, too, crave “sameness” and am missing normal. Together we will walk into the bright future the Lord has for us, and He’ll be there. Thank you, Sheree. Your words sow faith into my discouraged heart. Love you! Continuing in prayer for you and Tom. For some reason the idea of refining silver in the fire comes to my heart – (Psalm 66:10) I’ve read that when silver is refined, it’s put into a flame. It needs to be watched closely during the process. I’m positive that God is keeping watch during this time – close and attentive. Loving you. Because you’re precious. Thank you, Lori! That is a good metaphor–I pray God is doing good through it all. And that I can respond in a way that pleases Him. Debi – From time to time we have to stop and find the “new normal”. While this is difficult, it is also a chance to make changes beyond what might be forced on us. As long as we are forced to change what is normal, why not take the opportunity to make a few changes we want, or feel God wants us to make?